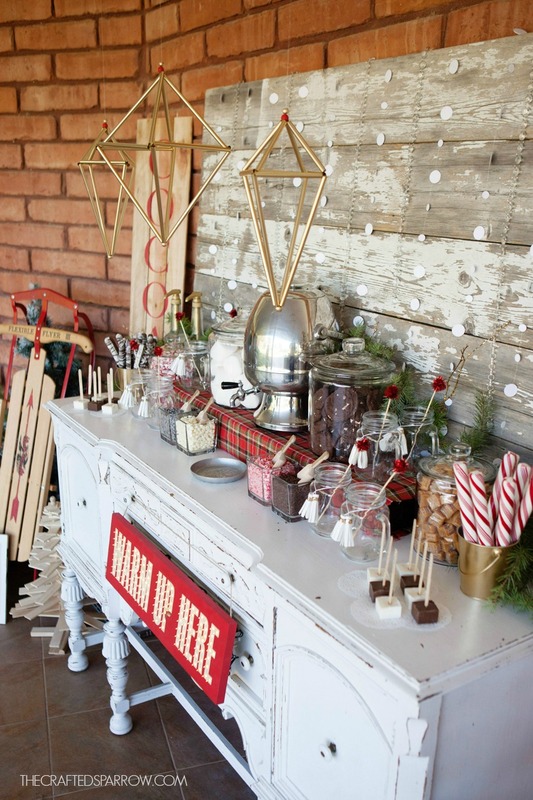 If you’ve been following along with the Merry & Bright Holiday Party that myself and some other talented blogger friends of mine put together you know that I was in charge of the Cocoa Bar. 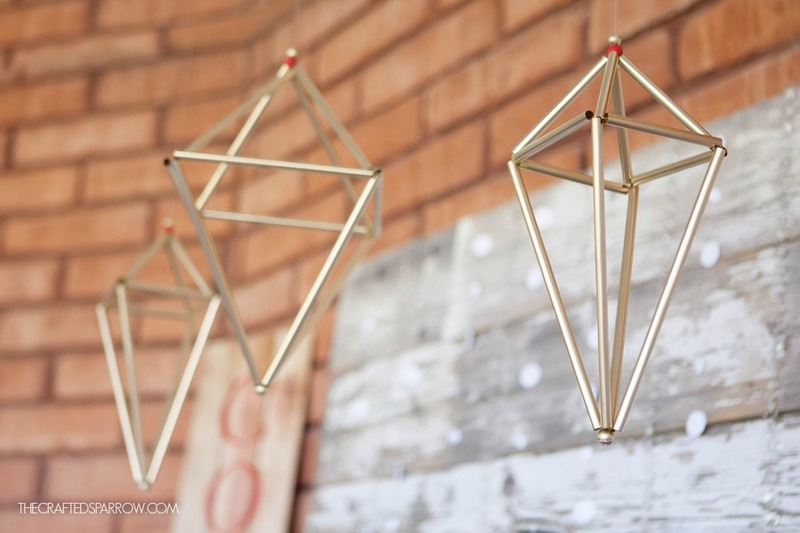 If you saw the sneak peek we posted a few weeks ago then you probably saw the pretty hanging geometric ornaments above it. 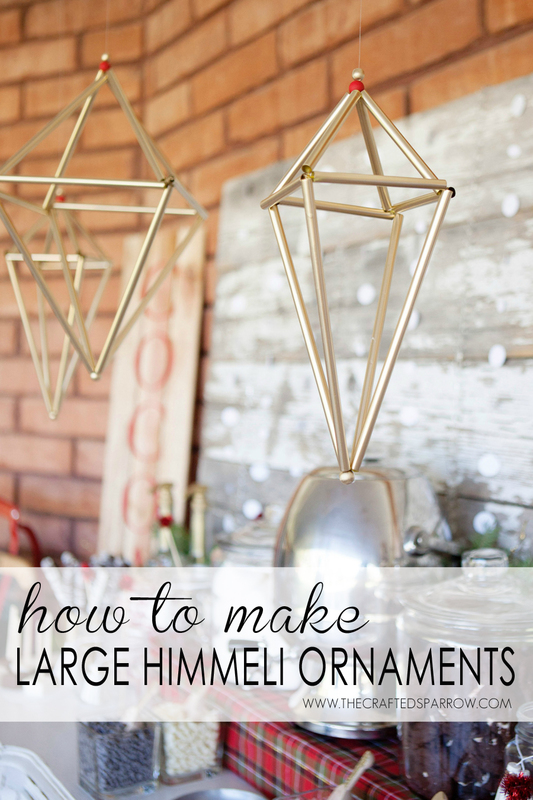 Today I’m showing you How to Make Large Himmeli Ornaments, they are so fun and easy to make. 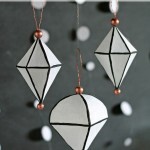 These geometric hanging ornaments are traditionally made from straw (like grown in the ground straw) and string. They are a traditional Finnish decoration. 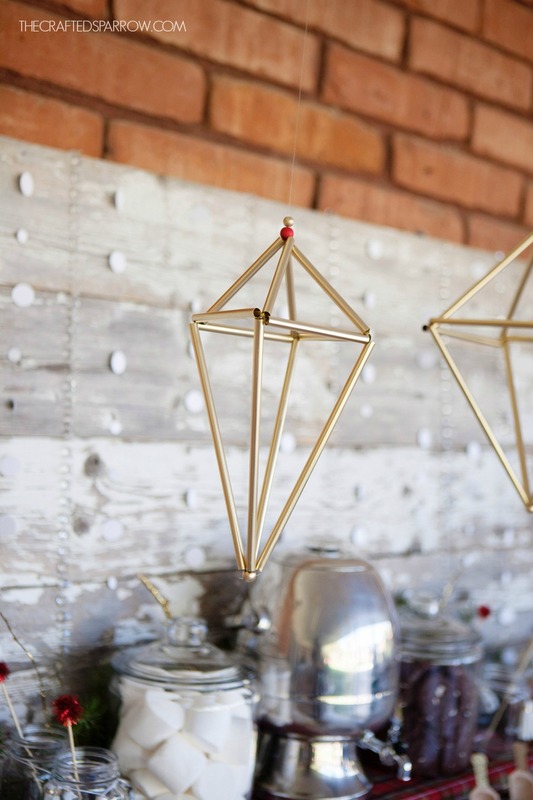 Since there are so many tutorials on how to make these I made mine using THIS tutorial from Delineate Your Dwelling found HERE. It was super easy to understand. 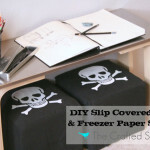 You can google the word Himmeli for even more videos and tutorials on how to make them as well. Following the tutorial posted above from Delineate Your Dwelling I just enlarged the sizes of my straws to create the larger ornaments. 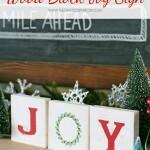 I added small wood beads to the top and bottom of each ornament to give it a finished look. 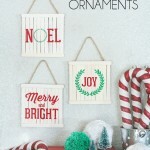 These Hemmeli ornaments can be spray painted any color. 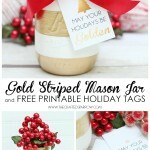 You can create smaller versions for your Christmas tree, or as everyday decor in a room. 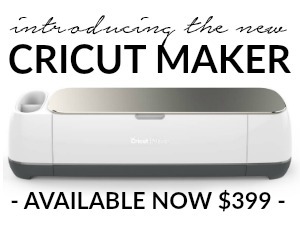 There are so many possibilities for shapes too. 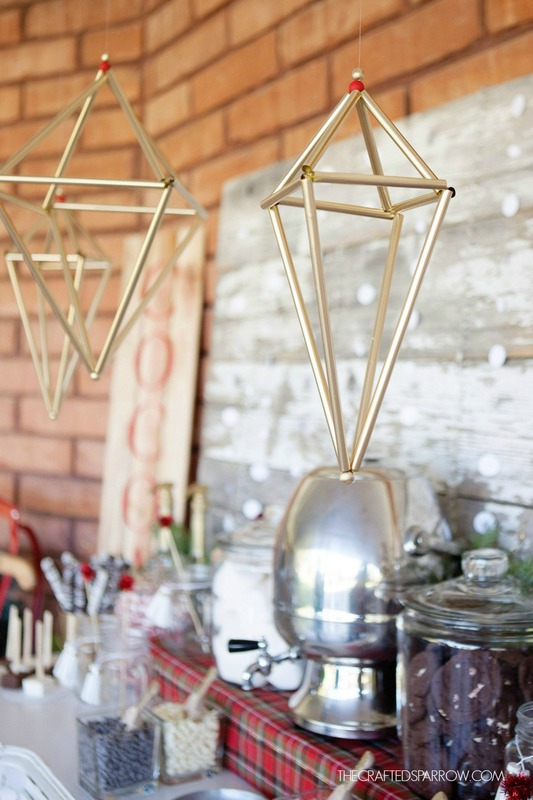 These Large Hemmeli Ornaments were the perfect bit of modern we wanted mixed with the elements of vintage for our Merry & Bright Holiday Party. 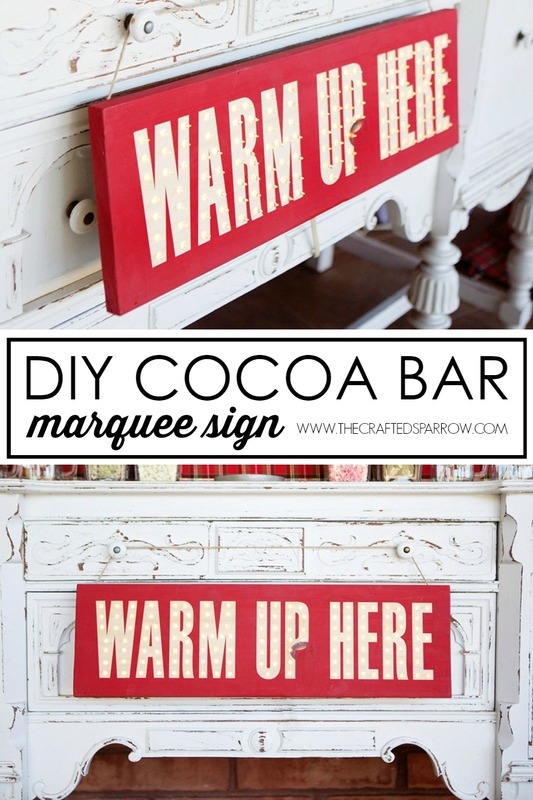 Be sure to check out the tutorial on how to make the DIY Cocoa Bar Marquee Sign, it would be perfect for any holiday gathering this year. 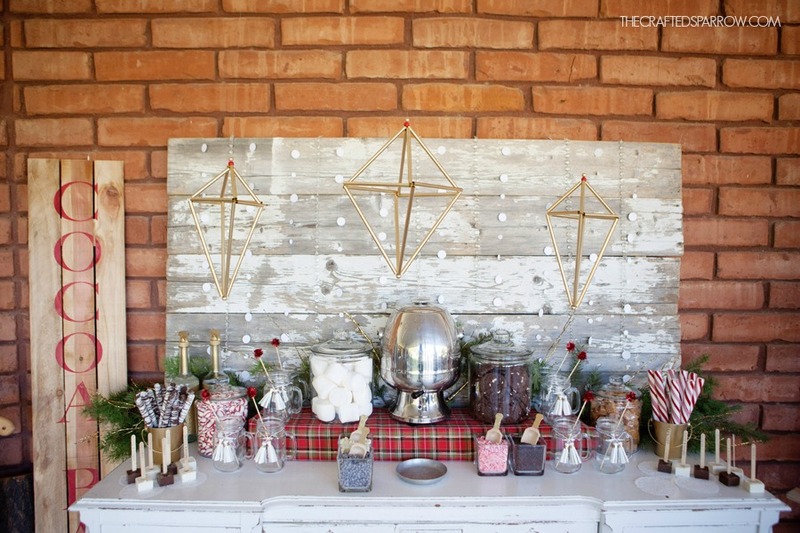 Whether you have a hot cocoa bar or a s’mores bar it would be amazing. what color and brand of spray paint did u use? 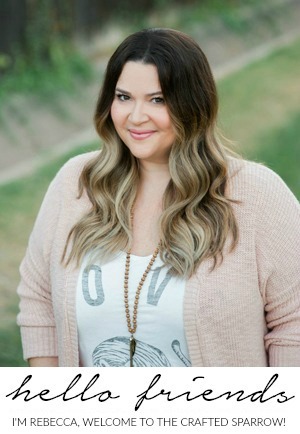 Hi Stacey. I usually use Rust-Oleum’s Metallic Gold spray paint. 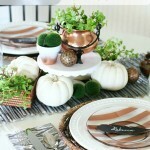 http://www.homedepot.com/p/Rust-Oleum-Specialty-11-oz-Metallic-Gold-Spray-Paint-1910830/100155951 I love it. I’ve found it has the best bright gold finish for a reasonably priced spray paint.